Fortus began learning violin at age 4. He studied at the Conservatory of the Arts in St. Louis and Southern Illinois University and also played in several youth symphonies in the St. Louis area. 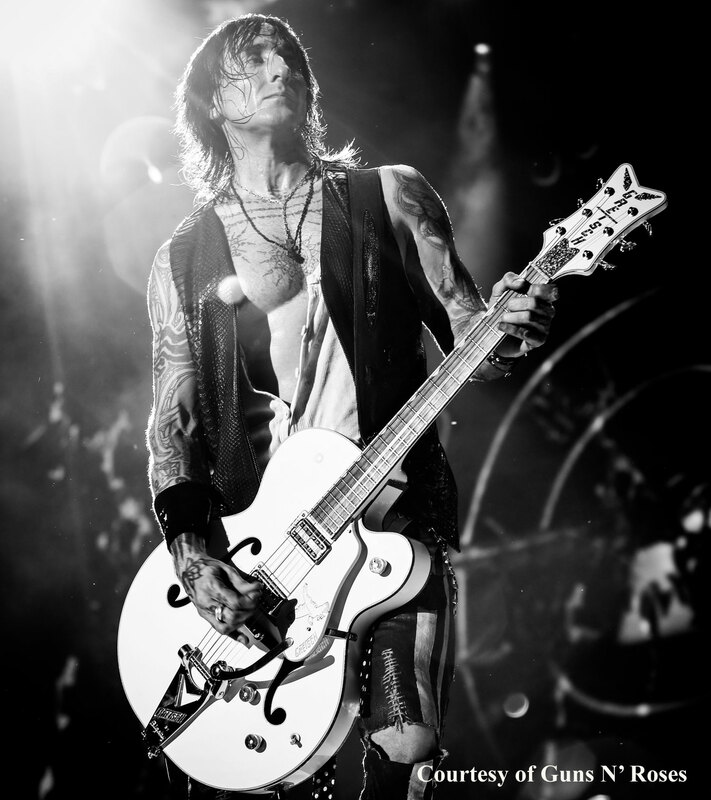 Fortus bought his very first Gretsch, a 1966 Tennessean from the late Bobby Caldwell, who was an icon of country music and was considered one of the most influential guitar players in the St. Louis area. “These (Players Edition Black and White Falcon guitars) work perfectly for me especially in the Guns N’ Roses scenario where I’m using sort of a low gain amp with more of a higher gain amp and Slash is playing Les Pauls and this (Falcon) seems to really balance that nicely. It adds a lot of low end and top end and brightness and charm to the guitar but still really heavy, and I have not had any issues with feedback. It’s been great.